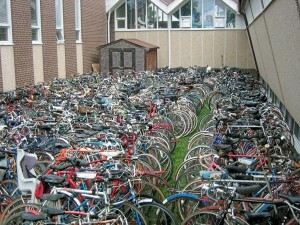 Our journey to become the Bicycle Church of Brampton began in earnest in the spring of 2007. Our then Minister Rev. Maureen Macleod started communicating with the founder of Bicycles for Humanity in Whistler British Columbia, Mr. Pat Montani. We also made contact with their partner in Namibia, Mr. Michael Linke, to become aware of their needs. Also through the local community and Presbytery with the assistance of Rev. Eleanor Morethi we began to understand the scope of and numbers of Bicycles that were being discarded, or sitting in garages and sheds etc. We started advertising primarily through the faith community, and media that we intended to load and send a forty- foot long Ocean Container to Namibia in West Africa. Each container can handle from 265 to over 400 bicycles, depending on the style of bicycle, how compactly they are loaded, and other items. 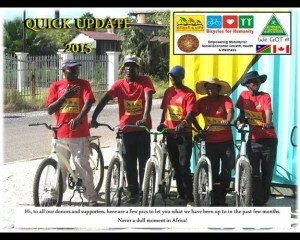 We named our project Bicycles for Africa. 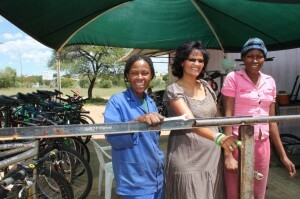 While we were doing this Pat Montani was building a network of Chapters in Canada focusing on the collection of Bicycles, and sending them to Namibia. 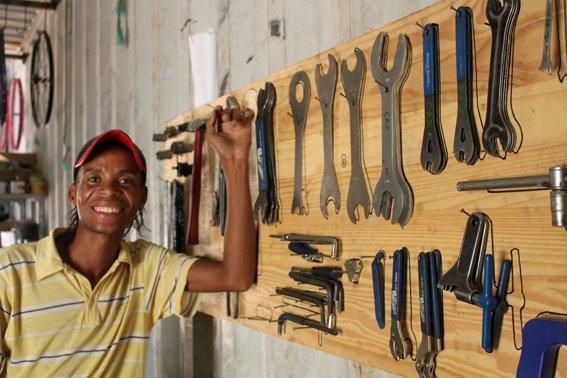 Also in Nambia Mr. Michael Linke was building a network of Bicycle Empower Centers, (BEC’s) where the Bicycles would be received, repaired as necessary and donated to various community projects. Local funding was assisting him to distribute to the health community, schools, and other worthwhile organizations. By early June 2007 we had filled our first container, and with funding from our own Church members, it was sent to Namibia. 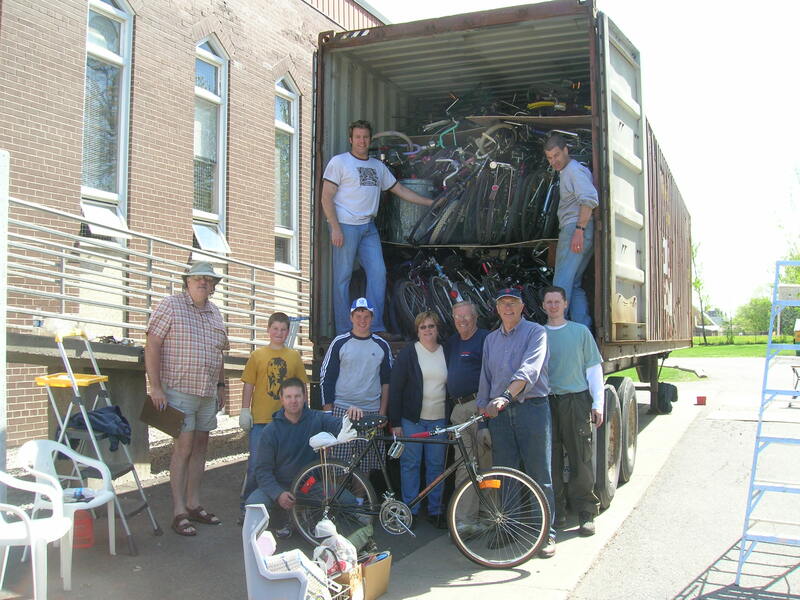 Meanwhile bicycles continued to flood to our Church, due to the generosity of our members, we were able to purchase two more containers, our second and third, load and send them by the end of July. 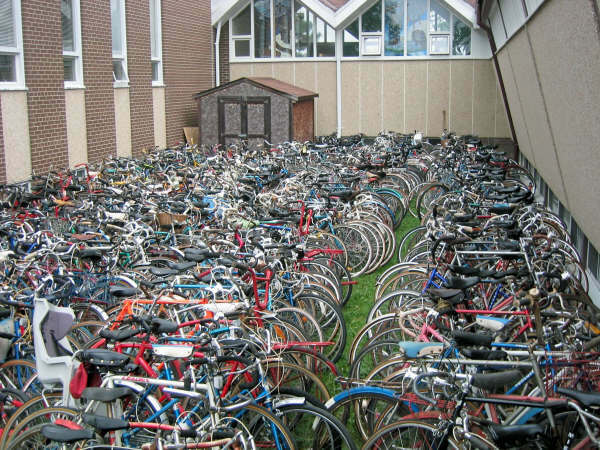 Even after this we were left with more than 100 Bicycles. These remained in our Church Courtyard until the following year. 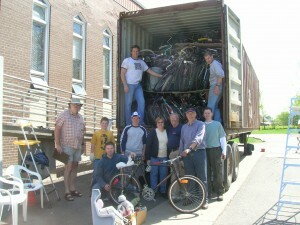 By June of 2008, we had accumulated more Bicycles, Wheel Chairs, spare parts and tires, enough to make another shipment. 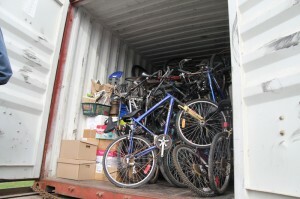 Rather than purchase the container it was decided to use a shipping company owned container, as at this point Michael’s organization was being inundated with Containers from the other chapters in Canada. This Container was sent in July of 2008, our fourth. They welcomed the contents, which were distributed to existing BEC’s. We were also able to send a sizable donation to Michael’s organization to help with the local costs. For the next three years Bicycles for Humanity continue to grow, with chapters in the United States, Australia and England. Also, Mr. Montani began to travel to Africa and start the same type of grass roots organizations in Nigeria, and Malawi. Feeling that we had drained local resources both from the financial perspective, and the supply of bicycles we felt that our project might die. 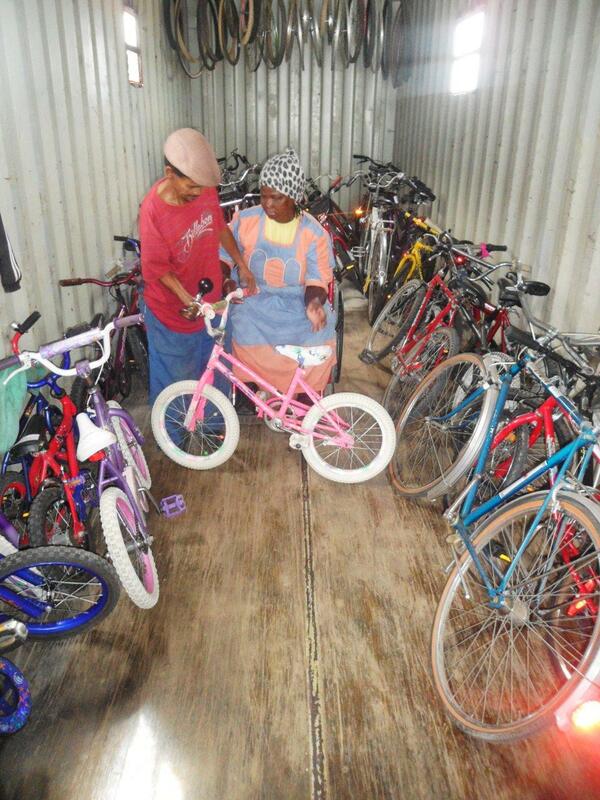 Late in 2010 we were contacted by Mr. Montani, asking if we would work with a small group of people who had purchased a Container earlier in the year but was having trouble finding bicycles, and dealing with the logistics of the shipping. Feeling that this could be the rebirth of Bicycles for Africa, we willingly made contact. We learned that the container had been purchased by a company, The Central Group, and their Executive Vice President Ms. Barb Spears. It was their corporate community outreach project, their staff had done fund raising, and were willing to help with the loading. A Mr. Tom Jurenka a private business owner in Toronto was also involved in finding bicycles, and some of the funding, also Catherine Wiseman-Hakes, assisted. With some advertising, we were successful in filling this container by November. Much of the funding came from Central Group, and elsewhere. This would be our fifth container. In the spring of 2012 we were contacted by the Outreach Ministry Chair of the Elora United Church, they had learned about the project from the B4H website and then referred to us by Pat Montani for a possible partnership. After some discussions it was agreed that I would travel to their church, meet the Chair Bonnie Norris, their team, and Minister. This area of Ontario was relatively untouched by any of the B4H Chapters, so the opportunity looked very encouraging. 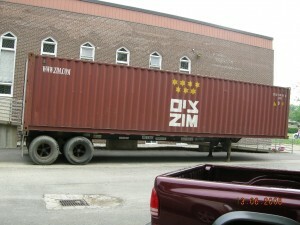 With collections made in their area, Brampton, Georgetown, Toronto, we began to load yet another container. Funding continued to exceed our expectations. 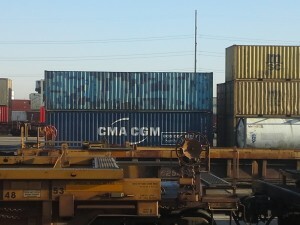 A lady and her husband paid for a container and more as a celebration of her 60th Birthday. Donations were received from Elora U.C., and Central Group continued their support. 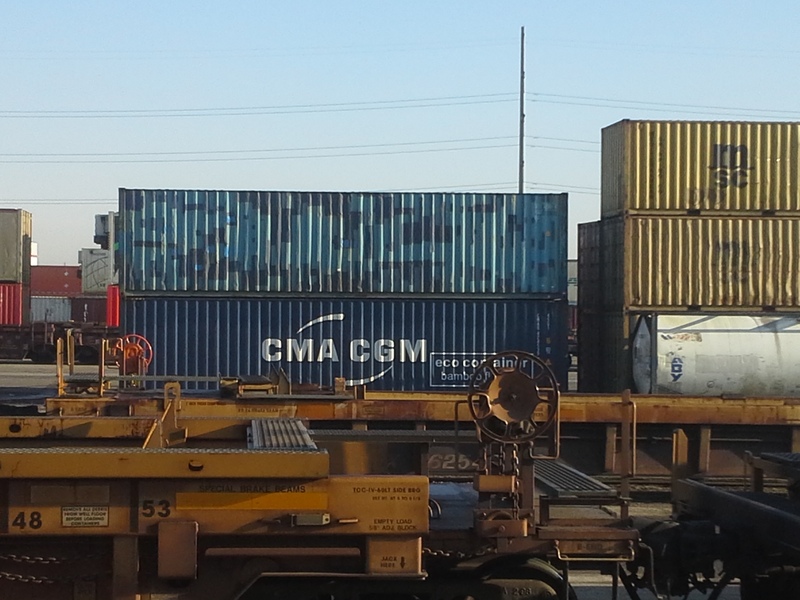 This Container our Sixth, was sent September 2012. Buoyed by excess funds, and great expectations, we decided to purchase two Containers in October of 2012. Locating one in Fergus Ontario, to be supported by the Elora U.C. and the second, again with Central Group in Mississauga. It was a struggle, but by November of 2013 we were ready to ship again. Additional funds were offered by Pat Montani, so these Containers left Canada on December 31st, 2013, our seventh and eighth, they arrived in Namibia in March , 2014. Our partners in Namibia have changed since the start in 2007. Various differences relating to focus and commitment, as well as the leader re-locating to South America, were identified. A new organization called Multisport Africa who had a close association with Bicycles for Humanity, was ready to take on the task. This group is lead by Nigel Reynolds. The job of dealing with two Containers arriving at the same time was rather overwhelming. Problems occurred relating to weather, and equipment as well as the theft of wheels off of their trailer. As a result it was the middle of June before all of the contents could be moved north to their warehouse in Tsumeb, northern Namibia. One of the empty Containers was sold to help cover some of the local costs, and the other remained as a storage warehouse in Walvis Bay. Recently Nigel sent us an excellent Power Point. (see below). Immediately following the departure of the two containers in December we had to make a decision about our future. We needed to improve the quality of the Bicycles we are accepting, as well as focus on the durable, mountain/trail type. This has slowed collections, and funding has become more of a challenge. In spite of this it was decided to continue the project. Central Group were willing to continue to store a Container on their property and handle the loading. Our partner the United Church in Elora, and their Outreach Chair Person, Bonnie Norris, found local storage. One more Container, our ninth, was purchased. Through the B4H, and St Bart’s web sites, we continued to receive donations of items from various organizations and individuals. Towards the end the summer 2014 the container was nearly half full and Elora had in excess of 200 bicycles, plus parts, wheels, tires, plus two treadle sewing machines in their storage area. With the help of trucking firms Timax, and Conway Transport these items were brought to our loading area. On November 8th a loading party was assembled, Church members, family’s and friends helped re-load all of the contents into a shipping container. 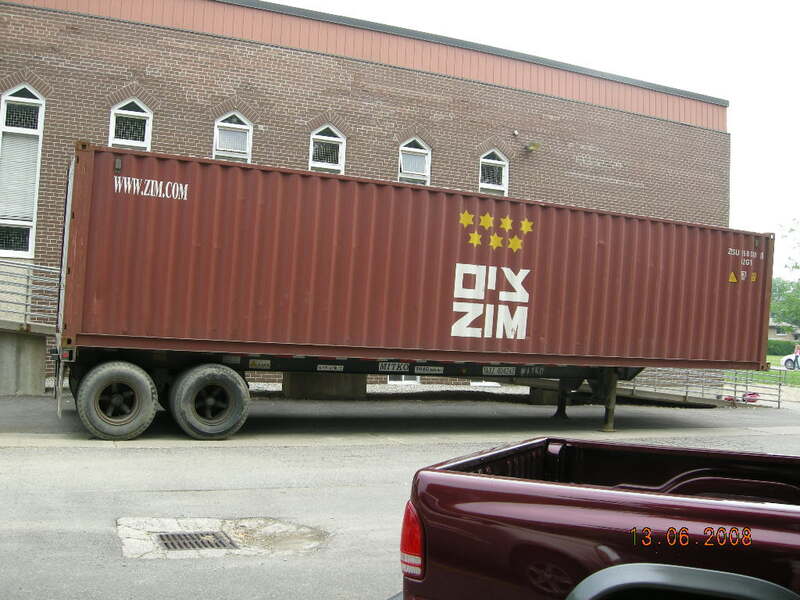 This container departed from Canada on November 19th, and arrived in Namibia on January 25, 2015. Just recently we received a Power Point indicating some of the donations, activities and area’s where our partner MultiSportAfrica is participating, all supported by this latest Container. Please view by clicking on the picture at the end of this story. During the winter the cold weather prevented us from loading the bicycles correctly. Just recently our good friends and supporters, the employees of Central Group, took what had been received and re-loaded them correctly, also completing the inventory. This latest Container our 10th, is now about half full. Completing this load is quite possible for later this year. As they have done previously the members of St. Paul’s United Church, Brampton, donated 15 Sleeping Mats made from Milk Bags, these will be loaded into the Container. As a new venture MultiSportAfrica have asked us to attempt to collect gently used Running Shoes, all sizes. Perhaps many of us have Children or Grand-Children who have grown out of, or wish to change styles? These take little or no space in the container and from what I understand would be welcomed. Our project continues, some 60 bicycles we left behind due to lack of space. Bicycles have been donated by a Condo Management company in Toronto, and our partnership with GO Transit div of Metrolinx continues in the Toronto area. Due to the cold weather we have not been able to do an accurate inventory regardless we feel that it is entirely possible that another container, which would be our tenth, could be on its way in 2015. The only cloud on our horizon is financing, the cost of shipping from Toronto to Namibia nearly $7000.00 in Canadian funds. We have been blessed with amazing support from members of our Church, our Partners and friends, we pray that this continues. This project is entirely run by volunteers. There are no administration costs, and no service fees. Our costs are for the purchase of a used Container, local trucking, and the Ocean Freight. Donations can be made to the Bicycle for Africa Outreach project of St. Bartholomew’s United Church. Charitable donation receipts will be issued for donations in excess of $20.00. As mentioned earlier the founder of Bicycles for Humanity was Pat Montani. Pat lives in Whistler, British Columbia, and remains very active with the organization. His personal mantra, and of the B4H organization is “Never doubt that a small group of thoughtful committed citizens can change the world. Indeed it is the only thing that ever has” Margaret Mead. We at St Bart’s with the help of many friends and our Partners feel that we have changed the World, at least the world in Namibia and we pray that God will continue to help us. Click on this PowerPoint to get an idea what happens to the bicycles that we ship to Africa.